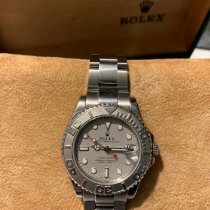 For sale is an excellent condition 35mm stainless steel and platinum Rolex Yachtmaster. The 168622 is a P serial, circa 2000. 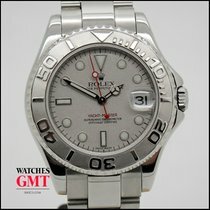 The YM sale is for watch only, does not come with any box or papers. 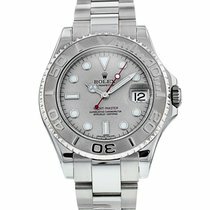 The mid-size Rolex is on a brushed and polished oyster bracelet with ten links and just a little stretch. 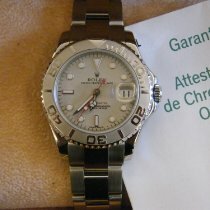 The bracelet will comfortably fit a 7 inch wrist. 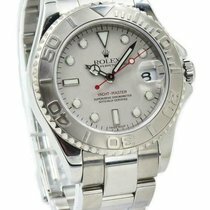 The bidirectional platinum bezel is in excellent shape.